The classic postcard view of the town of Unalaska isn’t what it used to be. The nation’s oldest Russian Orthodox church still towers in front of a bay backed by tundra-covered mountains. Now, there’s also a bright orange, 200-foot barge floating in between them. It could be parked there for the next five years. The Resolve Ibis at its new long-term mooring site off Unalaska’s Front Beach. KUCB/John Ryan photo. The orange, boldly lettered barge is the most visible element of a private effort to improve shipping safety along the Great Circle route across the Pacific. Magone got a Alaska Department of Natural Resources permit in May to moor the barge off the beach for the next five years. Magone has been in the emergency ship repair and salvage business on the island for decades. He said putting the barge in front of the beach that’s been the heart of Unalaska village for centuries wasn’t done lightly. The tank barge can be used to store oil that’s been offloaded, or lightered, from a ship in trouble, before the oil spills into the sea. The Aleutian Islands sit in the middle of the Great Circle shipping route across the Pacific. Every month, a couple hundred big cargo and tanker ships motor through Unimak Pass, just east of Dutch Harbor. And about once a week, a big chemical tanker goes through the pass with hazardous cargo like ammonia or pesticides. If the big ships run into trouble in the pass or elsewhere in the Aleutians, it can take a long time for the right kind of help to reach them. So Magone’s parent company, Resolve Marine Group in Florida, and the National Response Corporation in New York aim to address that. 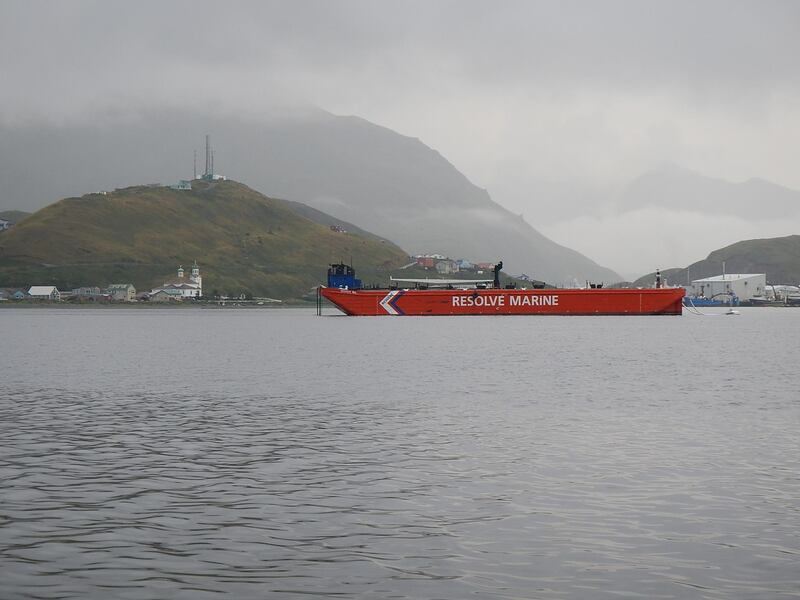 Their joint venture, called 1 Call Alaska, also has other vessels in Dutch Harbor, along with firefighting systems, seven oil-skimmer machines and 30,000 feet of oil-containment boom. Magone says all those new assets will make it much quicker to respond to maritime accidents along the thousand-mile Aleutian chain. “I think right now that they brought in additional equipment is certainly a good thing,” Ed Page said. As head of the Alaska Maritime Response Network, Page is essentially Magone’s competitor. His nonprofit network has spill equipment in Dutch Harbor and Adak and a dozen other locations in western Alaska. But Page says the new equipment might not be good for safety in the long run. Spill prevention efforts are funded by the fees that companies make by being the on-call responders for the big cargo ships. Now there are two outfits competing for those fees where there used to be just one. “Overall, there’ll be probably less money to pay for two organizations and their overhead and operating costs and even less money available to actually allocate to oil-spill response equipment and prevention measures,” Page said. 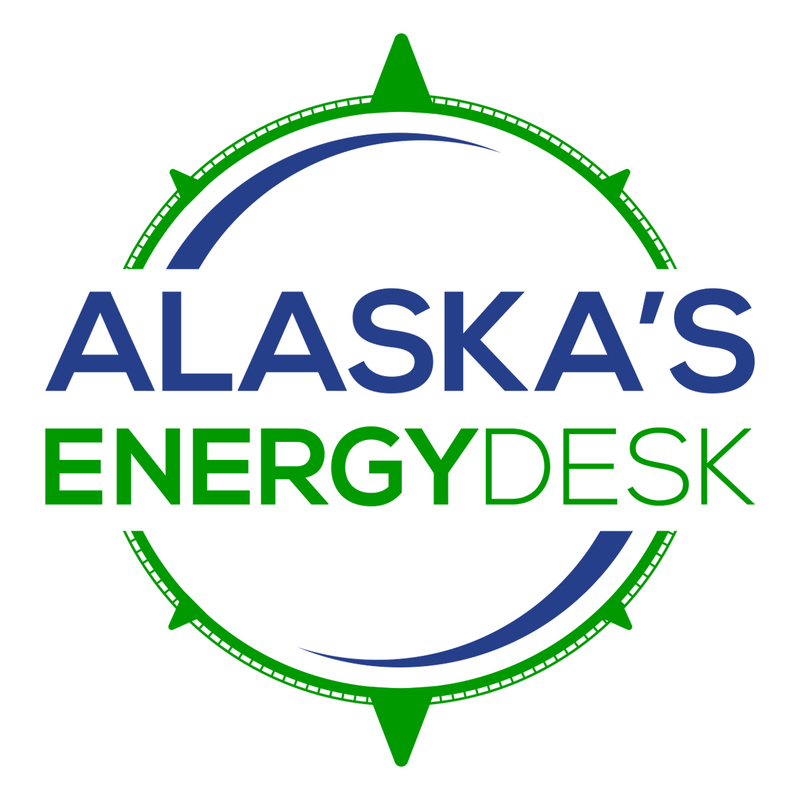 Alaska Maritime Response Network provides spill prevention services throughout western Alaska, not just along the Great Circle route. Page said he’s concerned that improved safety in the Aleutians could come at the expense of safety in other parts of western Alaska. Previous articleReligion and climate change – can you talk about both?